When EA SPORTS NHL 17 launches on September 13, 2016 in North America its soundtrack will include 17 tracks from a number of well-known and up-and-coming artists. Music from The Sheepdogs, The Chainsm**ers and Air Traffic Controller highlight this mix of songs that will appeal to fans of the sport. 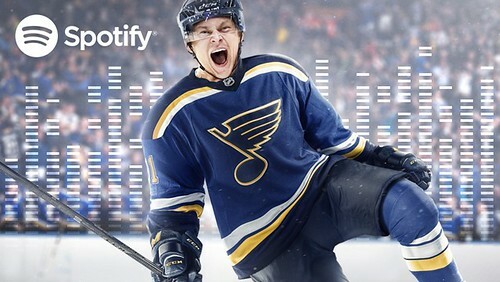 Take a listen to our EA SPORTS NHL 17 soundtrack and be sure to follow the EA SPORTS NHL Spotify Account. Not a single artist that I have heard of. I've heard of The Chainsmokers, but that's it. I asked my soon-to-be-15-year-old-daughter and she said the same thing. Is think someone her age would have heard of these artists is they were anybody. Don't know a single thing about any of those. Never heard of them. I only know them from stumbling across them on SiriusXM. I don't think any of the other songs have even had any commercial success. EA Canada always has a 'unique' soundtrack, but I think this is the first time I've never known a single song in a game. Either they are going off the grid or I am getting old/out of touch (probably both) as I just don't listen to Top 40 much anymore, if at all. The good news is that the Beta is alot of fun and I may throw my hat back into the ring with NHL 17. I listen to plenty of Top 40 and Sirius, and this list isn't either. NHL's soundtracks used to have a lot of crossover with either Alt Nation or Octane artists, but yeah, not this one. If anything it is good news because it means they are spending less of their budget on songs. Never heard of them too.